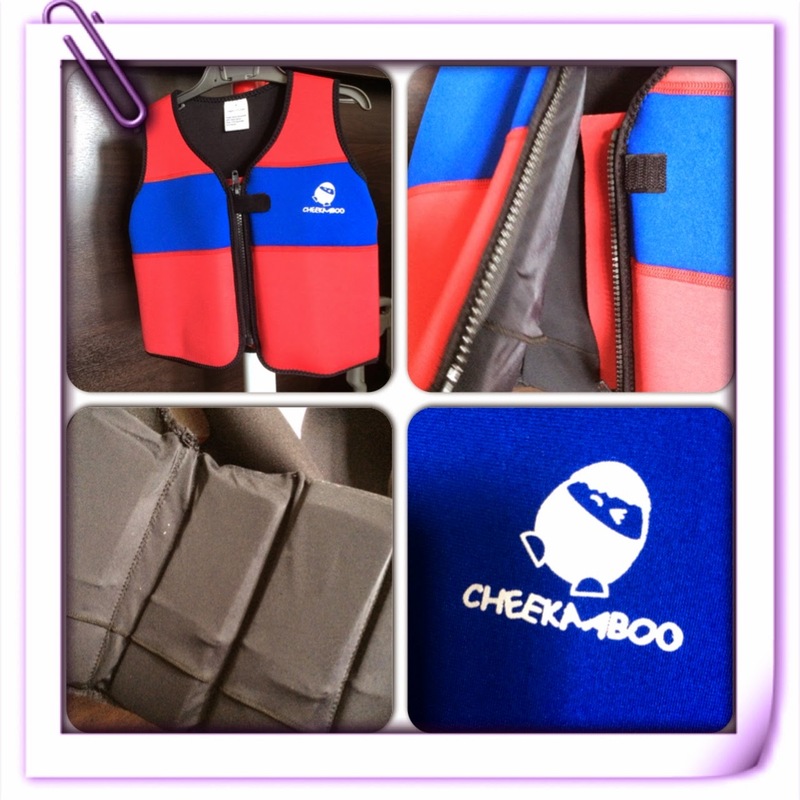 fabulous motherhood: Fun swimming with CheekaaBoo! Owh dear, its been a while since my last post! Sorry blog tahap bersawang =( How I wished to have time to sit and write peacefully. Soon soon, InsyaAllah.. Anyway mommies, I have some great things to share! *excited mode* Anyone here with hobby to purchase swimwear for your kids? I know, mesti ramai yang agree kan! All those kids swimwear and their accessories especially for girls are so cute and tempting aight? Seriously kalau pergi mall mmg boleh duduk lama kat kids section for swimming stuffs! What I love about CheekaaBoo brand is they have range of cheerful and bubbly protective swimwear and floaties which are specially designed for the comfort of your little ones. They really concern on all important things which need by children *or parents to be exact* when our kids have fun in the water! Especially when we want to introduce babies to water , jarang sgt nak jumpa pool yang warm suitable for babies kan? So its so important to have swimwear yg boleh protect and at the same time to keep the baby warm. One more thing I like about this jacket. The pieces are so easy to put onto little bodies, with Velcro and zipper fastenings which fasten and open with ease - the Velcro fastenings also provide for snug fits and allow room for growth. I choose red, so easy for me to monitor my kid when he's away from me. hahaha! Few days after received the parcel, we had Family Day within my office colleagues. We've booked Bukit Cherakah pool area for all the staffs and kids to swim and play! Adryan was super excited with his new jacket. Sebelum ni, asyik duduk dalam floater baby je kan. He's so happy to have jacket like his brother too. Tak sabar2 nak masuk pool. Am so happy, finally jumpa floater macam ni. Tak delah risau sgt nak lepas dia main dalam air..
Adryan was so comfy in his new jacket. And it helps him to float in the water as well with the help from mommy and papa. I really hope with this Floatsy Jacket, it can help Ryan to learn swim faster too! Should pay visit to our apartment pool more frequent after this! Ok boys ..
And couple of weeks ago, we had short vacay at Avillion PD! We had great time there. Main activity obviously at their swimming pool. And tell you what, their kid's pool not so bad. Kalau dah ada slide dalam pool, double fun for kids wokey! My little cheeky boy in his fave suit! Asyik remind mommy time packing takut tertinggal jacket dia. We even try at larger pool for adult. It helps him to float, but Adryan lil bit scared when I try to float by himself. No worries boy, we will practice more ok! Another great thing I found about this jacket, after swimming session, all you need to do just wash lil bit to remove the chlorine, I just hang it inside the bathroom. Sekejap je dia kering, yang penting takde bau! So easy to handle. Am so happy with the product so far! Am now eyeing for another stuffs for my kiddos too! They are just too tempting! 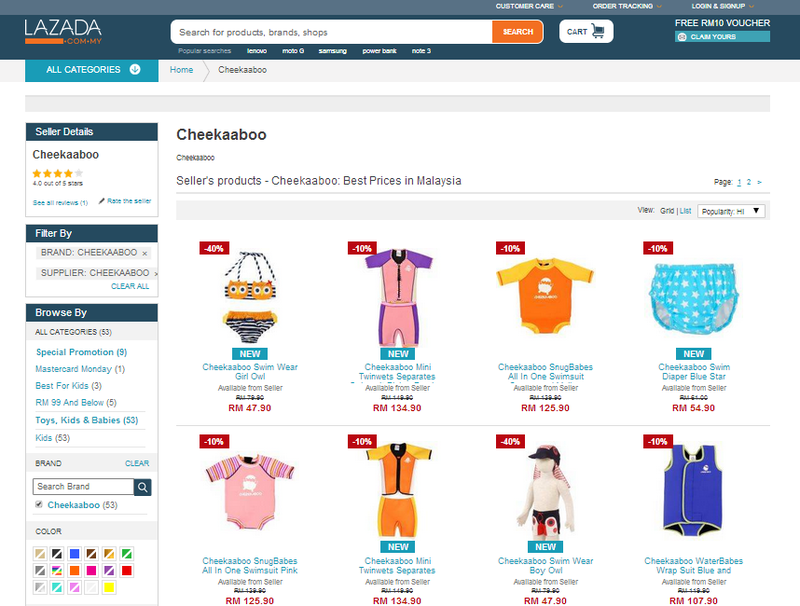 Do visit Lazada for great offer to purchase suitable swimwear and floaties for your children. They even have special combo with superb price reduction. Its worth with the money spend, trust me! Look what I have in my shopping cart now! Time to have fancy google for my kids. Sure they will love this!! Don't forget to visit them..
wow! nak visit gak la bcoz lissa n hanie's swimming suits dah lama sangat. need to replace them. eh mcm best je, dh lama cr mcm ni.